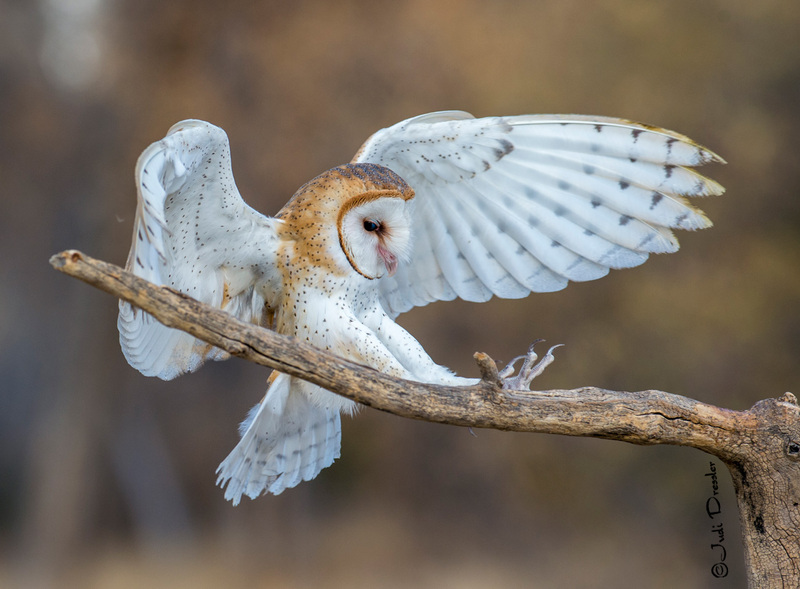 This small barn owl, named Cupid, is usually used for educational outreach, but in this case he was part of a flying birds workshop that I took in 2016. Isn’t he beautiful? I love how you can see him looking at the branch, as he is *just* about to grab onto it after flying over to it.